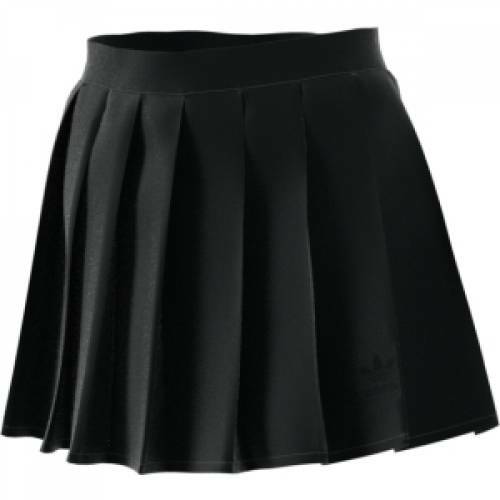 A PLEATED SKIRT INSPIRED BY A FAMED '80S DESIGN. The '80s introduced one of the most iconic adidas looks, the CLRDO track suit. Transforming the celebrated training style, the modern, sport-inspired silhouettes step out onto today's streets packed with attitude. Borrowing inspiration from the clean cut lines of the archival CLRDO jacket, this skirt makes a statement with sharp pleats. The sophisticated design is crafted from smooth fabric with a hidden zip on the side.